A new document in the never-ending dispute: harpsichord or piano? The last few months have enriched the debate (or made it more complicated?) with a few important pieces of evidence, as shown by this short list: for Scarlatti, W. Landowska, L. Sgrizzi, H. Dreyfus on the harpsichord side; Horowitz at the piano. For Haendel, Sgrizzi and Gerlin on the one hand, Heidsieck on the other; finally, for Bach, R. Kirpatrick and S. Richter. Each side has advocated their own aesthetic conception with an equal and considerable dose of talent and even genius - which, if I may dare, does not help the music lover anxious to honor the (musical) Gods on the appropriate altar. Is it permissible to play the Goldberg Variations at the piano? The facts strongly plead in favor of the harpsichord: Bach was careful to indicate for each variation the use of keyboards, which is sufficient evidence for the instrumental "specificity" of the composition. Moreover, when played at the piano, numerous passages entail a superimposition of hands and the repetition of notes from one voice to the other, which are extremely difficult to bring off. 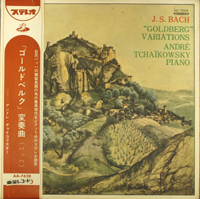 In fact, very few pianists have taken their chances, and while there are numerous piano versions of the Well-Tempered Clavier, the Partitas, the Chromatic Fantasy or the Toccatas, there are none at the catalog of the Goldberg Variations. So the record of André Tchaikowsky takes place, bravely and brilliantly, as one of its kind among a formidable assembly. 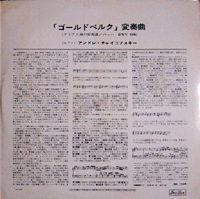 It is the successor of the superb recording by Glen Gould, not reissued, that one would like to see join it. As V. Horowitz for Scarlatti, the interpretation of A. Tchaikowsky is resolutely pianistic and does not attempt to imitate the harpsichord. Granted, he stages on numerous occasions clear-cut oppositions of sonic planes that may recall the possibilities of alternation offered by the harpsichord, but the pianistic touch imparts those passages a specific character very different from Bach's instrument. This conception is clearly stated as early as the opening aria, whose elegant shape, so finely wrought, is adorned with all the resources of a "single keyboard" in the una corda register. 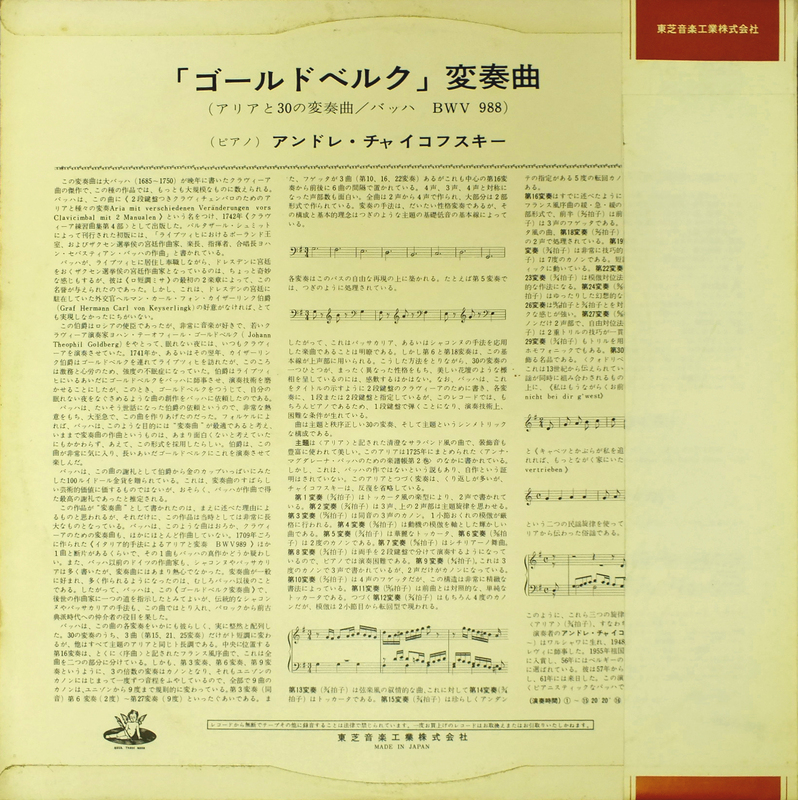 These pianistic attentions and this subtle and nuanced approach can be heard throughout, and especially in the canonic variations, whose austere character they enlighten with tenderness. 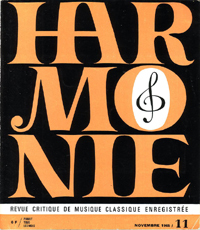 Finally - and this may be an argument to assuage the musicological reservations of the proponents of the harpsichord - some variations have in themselves an almost pianistic character (for instance the Alla Breve, var. 22, that so uncannily evokes the fifth variation from the third movement of Beethoven's op. 109, or var. 28 whose alternating trills announce in a striking manner the layout of Sonatas op 53, 109 or 111). Needless to say, the interpreter is here especially at ease and convincing. In short, this is a very interesting recording, musically as well as instrumentally, despite a few reservations of details - a tonal production at times a bit thick in some variations, and a slight tendency to press in the rhythmically "geared-up" ones (var. 29) - that do not impair the overall quality, and especially the robust and determined grounding of the whole interpretation, all the way to the nuances, a grounding very true to the canons of baroque art: order and movement. Patience is the collector's prime virtue. I waited very long to find this disc at a reasonable price. How many years, I don't know. It required a number of automatic alerts with various online shops, long wait, and quick reaction. 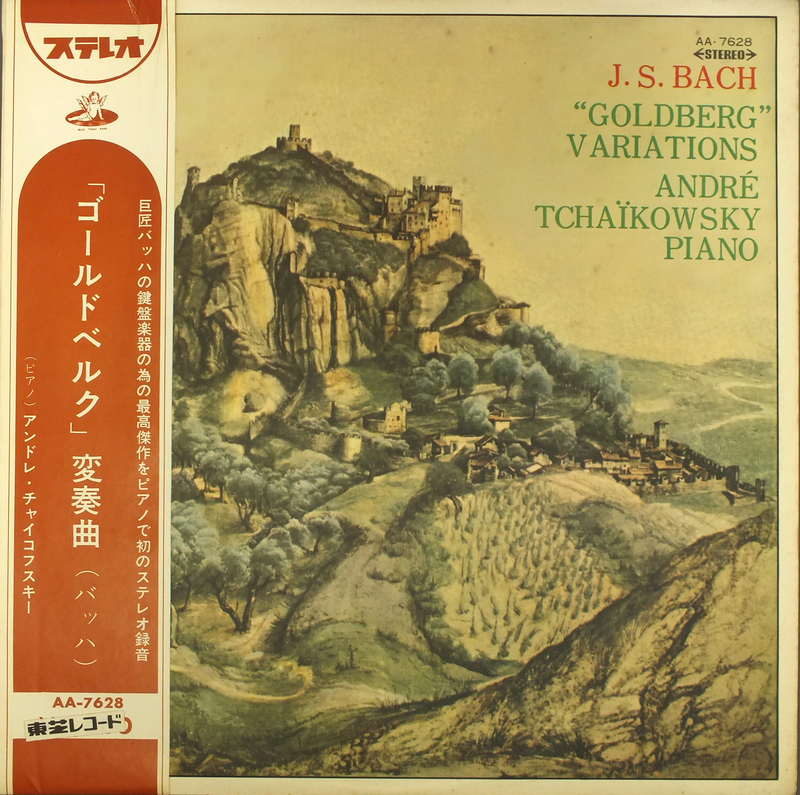 André Tchaikowksky's 1964 recording of Bach's Goldberg variations, made for French EMI, first came to my attention through the stupendous discography featured on the website solely devoted to the Goldberg Variations and maintained by someone who doesn't sign his name(search a30a Goldberg). There weren't many recordings of the Goldbergs back in 1964, and even less played at the piano. Rudolf Serkin's recording from 1928 was done on piano rolls and incomplete (reissued on CD by Archiphon, ). Claudio Arrau's 1942 recording (Claudio Arrau- J.S. Bach Goldberg Variations (RCA) (Chromatic Fantasy ad Fugue)) was not published until the CD era: RCA, its publisher, did not want it to compete with Wanda Landowska's second recording on harpsichord. So Rosalyn Tureck's first version, from 1947 on Allegro, was first (it was apparently never reissued on CD). Then came a William Corbett Jones on Music Library Recordings in the early 1950s, Glenn Gould's famous, epoch-making recording in 1955, Jorg Demus on Westminster in 1955 (not reissued), followed by Rosalyn Tureck's second recording for HMV in 1957 (reissued by Philips on their Great Pianists of the Century series, Rosalyn Tureck 2), and Gunnar Johannesen's from 1958 on his own label, Artist Direct. André Tchaikowsky is a name all but forgotten these days, except maybe by the most diehard collectors. He was born Robert Andrzej Krauthammer in Warsaw in 1936 of a Jewish Austrian father educated in Germany and for a while established in Paris. André survived the Warsaw ghetto (that's when he assumed his alias) and after the war he received his music education at the Conservatories of Lodz and Warsaw, then, from 1948 to 1950, in Paris with the famous teacher Lazare Levy. The best he did in international piano competitions was third prize at the 1956 Queen Elisabeth competition in Brussels (behind Vladimir Ashkenazy and John Browning but ahead of Lazar Berman and Tamas Vasary). In 1957 he definitively fled to Paris, where Arthur Rubinstein took him under his wing. 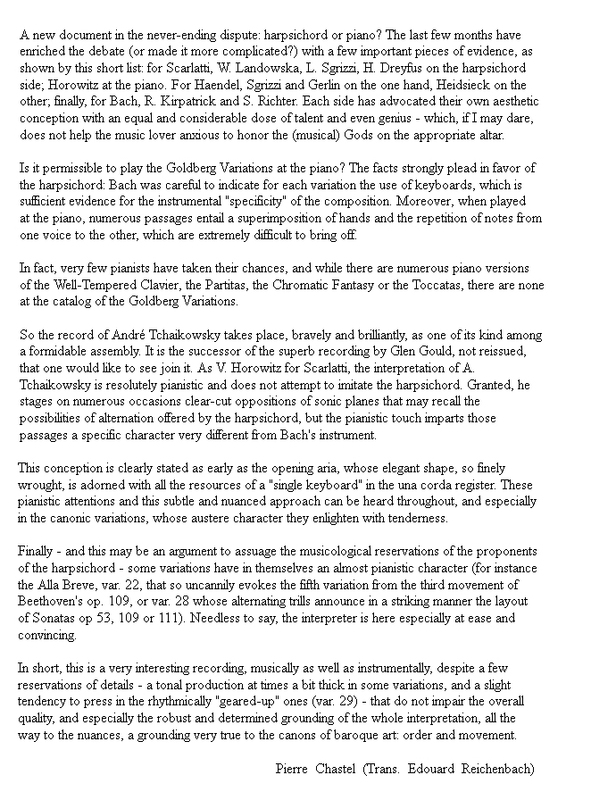 An active concert career developed, limited however both by Tchaikowsky's capriciousness (confirmed by his own short autobiographical blurb from 1963 reproduced in the fine booklet; there is also a famous anecdote about a feud with Reiner when Tchaikowsky admitted that he had never played the Mozart concerto they were to perform and record together, and Tchaikowsky apparently gave a hard time to his conductors) and his aspirations as a composer. He made only five recordings for French EMI, and they've all been reissued by Dante - this Bach Goldberg being the first in the series. He died of a cancer in 1982, and bequeathed his skull to the Royal Shakespeare Company, where it is still in use in their productions of Hamlet. That gives you an idea of the kind of character Tchaikowsky was. His Goldbergs were worth the wait. You'd think playing the Goldbergs with a genuine sense of style would require a long process of familiarization, running through generations of pianists, each learning from and adding to the explorations, attempts, hesitations and even errors of their predecessors. By and large I consider that recent recordings of the Goldbergs delve deeper than the "historicals" - Gould being no exception. But Tchaikowsky shows a remarkable sense of style and familiarity with the composition. His tempos are generally perfectly judged and with a fine sense of the overall line; his Goldbergs feel as a single composition and not a collection of 34 individual vignettes. The exuberant variations are wonderfully exuberant (5, 8, 10, 14, 26, 29...). Some tempos may be surprising, as the slow one adopted in the canonic variation No.3, but that allows him a fine and clear voicing in this tricky number, where the two voices play unissono, a bar apart. The slow Variation No. 13 is a little square I find. But some of his tempos can be revelatory, as the slow one adopted in Var. 18, which lends it a unique wistfulness. His ornamentation is always tastefully realized - as was the wont in that pre-Historically-informed-performance era, he does those indicated by Bach, and adds none of his own. On the orther hand he shows a variety of touch and dynamic nuance, most of the times favoring a light staccato (1, 10, 14, 16, 23, 27...) that points forward to period style performance. He never pounds, as Gould could. Reservations and regrets? Sure! No added ornamentation, and no repeats, for a TT of 42:45 (the CD is the straight reissue of the original LP). It wouldn't matter if Tchaikowsky's reading wasn't as good as it is. Here, one craves more. Three years later, Charles Rosen played all the repeats, and some discreet ornamentation of his own (Bach: Goldberg Variations BWV 988 / Charles Rosen). Danté (and its historical recordings collection Lys) has the reputation of having been a bootleg label, drawing from LPs or earlier LP reissues of material originally issued on 78rmps, rather than doing their own transfers. Not here. 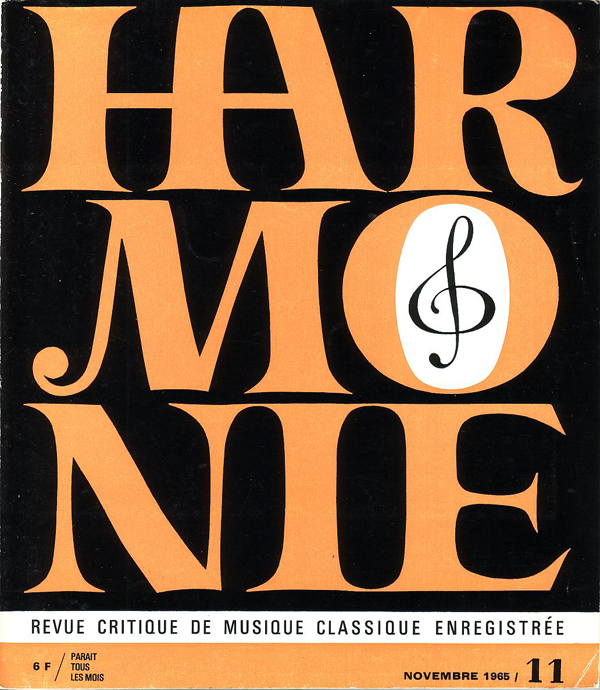 This and the other Tchaikowsky issues were evidently a labor of love, masterminded by the French critic Jean-Charles Hoffelé, who knew Tchaikowsky personally. They licensed the recordings from EMI and evidently worked from company tapes: no surface noise, fine sonics. So, if you are an admirer of the Goldberg Variations or of great pianists of the past and don't have this disc, now pretty rare on the market, you have reasons to rue. But rejoice: a remarkable André Tchaikowsky website, maintained by the admirer and biographer David A. Ferré, allows you to download his recordings. André had recorded the Goldberg Variations for RCA Victor over three days on December 13, 17, and 23, 1957 but rejected the entire recording session (a total of 87 takes), thus, leaving RCA with nothing to show for a possible record release. Six years later in 1964, André wanted to try again, this time for Columbia Records. Since this was one of André's favorite works, it's not surprising that for his very first recording for Columbia he wanted to try again, this time over five days, May 12 to 15, and then November 30, 1964. This record is the result of this recording session. André used to recount that while recording the Goldberg Variations for Pathé Marconi in Paris back in 1964, a dog came through the swing doors into the studio, walked up to the piano, cocked its leg against the leg of the piano and... ...then left the way it came. Luckily the 'p' was as silent as in 'pneumonia'. No need for electronic wizardry in the editing stage. When asked whether the incident had distracted him André replied that "as a professional one learns to ignore the critics!" 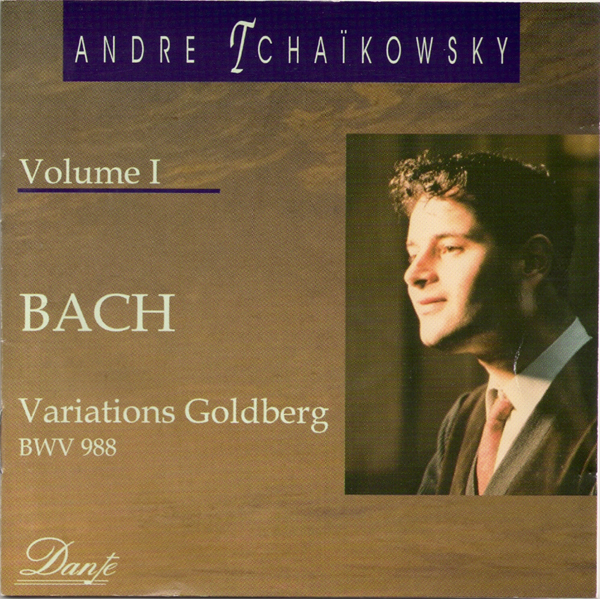 Against my principles--as you may protest if you recall the views I have expressed about other recordings of the work--I have to declare that this is one of the best performances of the Goldberg Variations I have heard. The specific principle involved is my belief that much of the point of this music depends on the player's ability to vary the repeats creatively and stylishly. 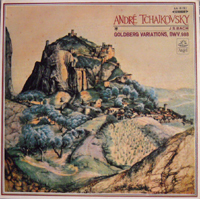 As you can guess from the very short overall timing for this disc [42:44 minutes], André Tchaikowsky observes none of the repeat signs. And yet I enjoyed every moment of his performance enormously, realizing from his measured but irresistibly vivacious treatment of the fourth variation, if not from the very start, that this was to be an interpretative achievement of the highest distinction. Born in Warsaw in 1936 [1935 is probably correct], Tchaikowsky escaped the Holocaust and studied after World War II in Lódz, Paris, and Warsaw, returning to France in 1957 to become a pupil of Nadia Boulanger in composition and Stefan Askenase in piano. Of those two disciplines, composition was the closer to his heart, and from 1960 onward, settling in England, he restricted his concert appearances in order to concentrate on producing a series of works in many genres, including a String Quartet, a Piano Concerto, two song cycles, and an opera based on Shakespeare's Merchant of Venice that was nearly complete when he died of cancer in 1982. 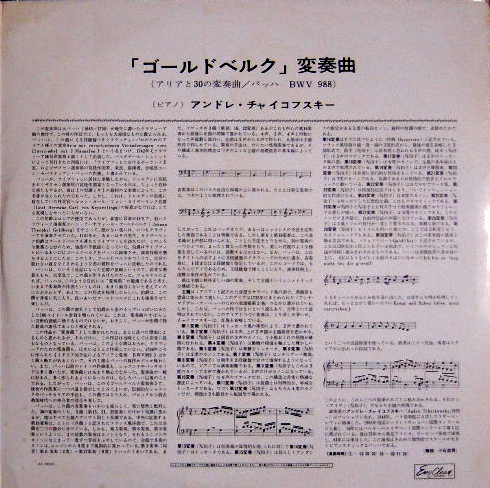 Billed by Danté as the first volume in a commemorative series of reissues, this digitally remastered 1964 recording (originally produced by Eric Macleod) reveals Tchaikowsky's playing as crisp but never harsh, with a fine sense of balance among the various strands of Bach's polyphonic textures. 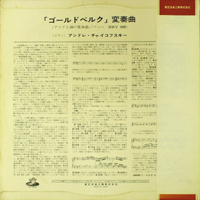 Whether or not his instincts as a composer are to be credited for the sheer natural insight of the performance, I am constantly struck by the pianist's unerringly apt choice of tempo and articulation, and the nice equilibrium he achieves between rhetoric and lyricism, pathos and exuberance, extrovert assertion and inward communion. Agreeably in evidence, too, is his sense of humor; this can also be enjoyed in a brief "anti-self-portrait" in French, which is, unaccountably, the only element in the informative booklet left without an English translation [see below for the English translation]. Where to begin? Of the "four temperaments" only the phlegmatic is missing. I have all the qualities of my failings. I am egocentric, impulsive, garrulous, capricious, untidy, lazy, depressive, but also honest, spontaneous, enthusiastic, unselfish, and affectionate. It is obvious that I have too much imagination and my sense of reality has degenerated little by little due to its lack of exercise. I tell lies as easily as I breathe (did I say that I was honest?) but only when this is of no use to me. Apart from my music I am especially interested in literature. Since my first stay in France, I have spent a lot of time studying the French classics of the 17th Century and, back in Poland, French novels and the great Russian classics. Now that I live in England, I have discovered a real passion for Shakespeare. My dream would be one day to direct "Anthony and Cleopatra" but who in the world would let me? Apart from Shakespeare, my preferences are for Racine, Dostoyevsky, and Proust. What I love most of all is people. And if I am sometimes taken for a misanthrope, that is because I have a horror of receptions, snobs, and society gossip. These festivals of boredom are sometimes compulsory and I have only made friends by saying what I think of them! Everything which hinders the unpredictable, adventure, and discovery repels me. When on tour what I love is to arrive in a town, leave my suitcases, and go out for a long walk without knowing where it will take me. Sometimes I play bridge, where my tendency to exaggerate causes me to make bids which are completely mad, and chess, where my lack of organization becomes immediate and painfully obvious. I practice only one sport, swimming. I can also get by in cooking. With the demise of Danté Records, we can only hope another company takes up the torch to keep the performances of André Tchaikowsky alive.